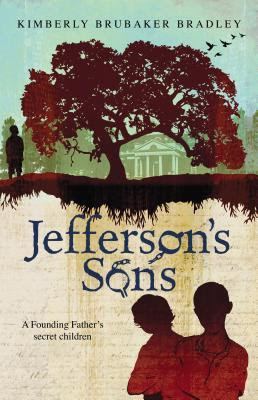 I put Jefferson's Sons on my to-read list right after Janssen reviewed it . . . in 2012. But whereas some books get added and gradually lose their appeal, Jefferson's Sons continued to look interesting to me, so I finally made time for it, and it was well worth it. It is one of the greatest ironies of history that the man who wrote the memorable words, "All men are created equal," also owned slaves. But even more ironic is the fact that some of those slaves were his own biological children. This book follows two of them, Beverly Hemings and Madison Hemings, as well as a third slave, Peter Fossett. Even though the book is a work of fiction, every character in the story was a real person, and nothing was included that was in direct disagreement with the facts. In other words, it is as historically accurate as possible and every story and conversation could, in theory, have really happened. Before I started the book, I was really worried that it would make me hate Thomas Jefferson. Or just that it would be so jaded, I would feel forced into a certain opinion. But it did neither of those things. Beverly and Maddy's mother was Sally Hemings. She was actually half-sisters with Thomas Jefferson's wife, Martha Wayles. While there are many things we don't know about her relationship with Thomas Jefferson, it appears that there wasn't anything between them until after Martha's death in 1782. At least, Sally didn't have her first child until 1790. It also seems likely (or at least this is the way this particular author portrays it) that Thomas Jefferson did in fact love Sally Hemings and was also a victim of the constraints and laws of the times, which wouldn't allow a white man to marry a black woman. He made sure his children were always well provided for (all while never acknowledging that they were actually his) and eventually gave them their freedom when they turned twenty-one. That said, Thomas Jefferson still owned slaves--a lot of them. And although the house slaves were treated well, the field hands experienced many of the depravities and abuses common to that time. At one point in the story, one of the slaves runs away. When he is eventually caught and brought back, he is whipped, and all of the slaves are forced to watch. Beverly is young at the time and idolizes his father and can't believe he would have ordered the whipping. But Beverly's mother explains, "All James Hubbard did was try to get free. Running away is against the law, but it's not wrong. Sometimes laws are wrong. Master Jefferson told the overseers to whip James Hubbard. They wouldn't have done it otherwise. They wouldn't have dared." Thomas Jefferson might have been a more humane slave owner than some, but he still treated his slaves as property--something that could be bought or sold just like a horse. In fact, the book ends soon after his death as his slaves are being auctioned off to pay the enormous debts he has incurred due to unwise financial decisions. He took care of his own flesh and blood but left his other slaves to the mercy of those who came after him. One of those slaves is little Peter Fossett, and the ending is quite chilling. 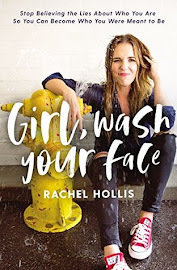 The book is written for a middle grade (8-14 year-old) audience. Although it spans about twenty-five years, it follows Beverly first, then moves onto Maddy, and ends with Peter, thereby keeping the thoughts and feelings and experiences focused on a child while still letting us see what happens to the others as they grow up. One thing I really appreciated was the way the author nudged the reader into thinking about difficult issues. It wasn't blatant or heavy-handed. I didn't feel like I was being preached to. But many of the conversations that happened in the Heming's cabin made me think. It's impossible to know if they really had such deep discussions on the morality of slavery, but it seems likely. We know that Sally was well-educated, and it's obvious that many of her actions were prompted out of a love for her children and wanting to give them their best possible chance at a decent future. And with their father being who he was, how could they not help but see the deep unfairness of their situation? But the author was slow to pass judgment. For example, when Sally tells her children about their great-grandma, who was kidnapped in Africa, Beverly asks if the men who took her were white or black. Sally responds, "I don't know. Might have been either, or both. Evil comes in all colors." And I know if we looked at the entire history of the world, we would find that to be the case. One race isn't more evil than another. We all have the capacity to be good or bad. There is one really tender scene in the book. It's in Maddy's section. Maddy is smart and loves to read. He doesn't blindly love his father the way Beverly does, but he still craves little moments of attention. 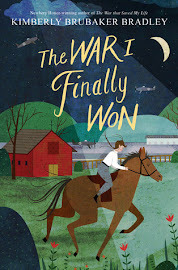 When Mama tells him that Master Jefferson's mockingbird died, Maddy and his best friend, James, set out to catch another one. They're successful, and they take the bird to Master Jefferson. He is so pleased with the new bird that he gives each boy fifty cents. Maddy should be thrilled with the money, but he's not. Instead he thinks, "That bird had been free, and now it was a slave. From now on it had to live where Master Jefferson wanted it to live, eat what Master Jefferson gave it to eat, even whistle the songs Master Jefferson wanted it to sing. He, Maddy, had sold that bird into slavery." In my book club, we read a different genre each month. 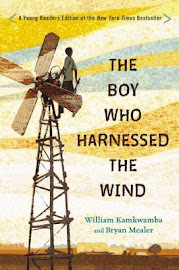 One of those genres is adolescent literature, and we originally chose this book for that month. We ended up changing it because we'd already read a couple of books that explored similar issues, but I'm kind of sad about it because there would have been so much to discuss. I really love books like this that don't paint everything as strictly black and white (even on issues such as slavery that seem obvious) but introduce the many shades of gray that are a result of the culture of the times and the foibles of human nature. Lovely review. This book is on my TBR list; I should shove it higher. Does your book club's genre list stay the same from year to year, or do you pick that first and then the books? I was in a "award" club once that roamed around genres -- there's a mystery award (Edgar), SF award (Hugo), National Literature, and I forget what else we had (Newbery for sure!). That was fun. An award club! That sounds like so much fun! Our genres have stayed fairly consistent over the last three years, but I think we'd definitely be open to changing it up a little bit. In this day and age, especially after Charlottesville, I can't help be struck by how many fellow white people look for, and are comforted by, the "shades of gray" in books about slavery. We don't need shades of gray. We need to be clearer about the evil of slavery and about the fact that its echoes are still felt and heard today, clearly. The fact that some Africans colluded with European kidnappers in enslaving other Africans does not make what Jefferson or any white American slaver did any less wholly evil. And any story that blurs those lines does so for the comfort of its white readers. I'm not saying that this book does that, but it really struck me that it was a very important selling point for you. Why were you so worried about hating Thomas Jefferson? Why were you so worried that it would have a strong, opinionated narrative? Why is it a selling point that the author is "slow to pass judgment"? Thanks so much for sharing your thoughts! I think you're definitely right that white Americans (me included) probably do look for any shred of good during that time because we feel so guilty about how horrifically people were treated. If you end up reading the book, I'd love to hear your opinion of it.